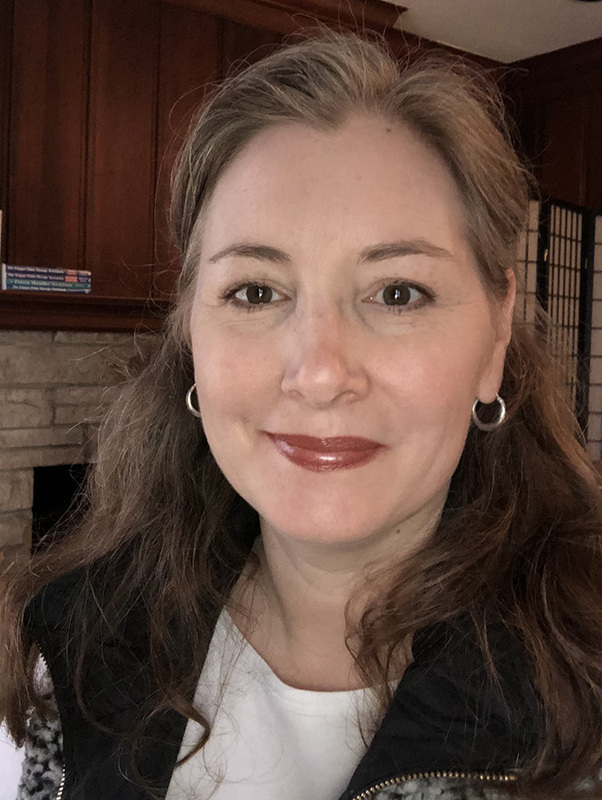 Amber Davies is a certified myofascial trigger point therapist, KY licensed massage therapist, and owner of New Day Myopain Center in Louisville, Kentucky. Amber completely revised The Trigger Point Therapy Workbook (3rd edition) written by her father Clair Davies. This new edition was published by New Harbinger Publications in 2013. The journey from pain sufferer to therapist started for Amber in the summer of 1991 when she injured her back in summer stock theatre. 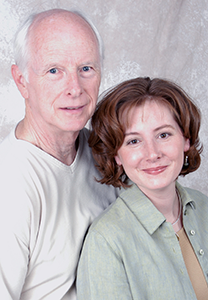 After years of pain her father, Clair, helped to solve her chronic low back pain during his early explorations of Janet Travell and David Simons’ landmark medical textbooks on trigger point therapy. While attempting to raise two willful young daughters, Amber is dedicated to helping bring treatment of myofascial pain into the mainstream. In addition to treating client/patients, Amber teaches continuing education for therapists and self-treatment to folks in pain. Many therapists come into the field of myofascial trigger point therapy through their own personal crisis with pain. I am no different. Starting at eighteen I lived for six years with chronic low back pain after a lifting injury in a professional regional theatre. Months of chiropractic care and codeine that first year kept me in college but I was left with near constant pain and discomfort. The doctors couldn’t find anything seriously wrong with me. For six years, I could not tolerate sitting for longer than an hour, lie down for more than eight straight hours, or lift more than twenty-five pounds without paying for it for days. My “bad back” kept me from doing the normal things young people take for granted like taking road trips or sleeping in. By 1996 at age 23, I was a mess from head to toe with chronic and recurring episodes of pain. Massage therapy, and more specifically, trigger point therapy changed all of that for me. Hands-on manual and massage therapies to treat myofascial and neuromuscular pain. 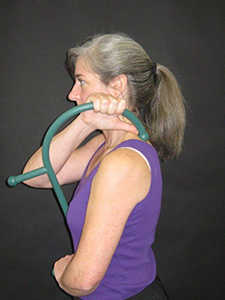 Self-treatment education so you can get better faster and have pain relief anytime, anywhere. Continuing education workshops for therapists. Self-treatment classes for folks in pain. My recovery did not come from treatment by medical doctors, physical therapists or chiropractors but through a piano rebuilder, my father, Clair Davies. My do-it-yourselfer, Dad helped to fix my back. 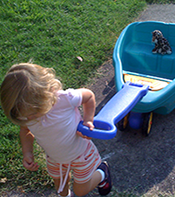 The year before we solved my pain, he had developed an intense personal interest in myofascial trigger point therapy. Dad’s pain crisis came by way of a debilitating and painful frozen shoulder. Shoveling snow in his driveway one morning led to eight months of pain and increasing shoulder immobility. He sought help from his doctors but was frustrated by the solutions they offered and later flunked out of physical therapy in worse pain. 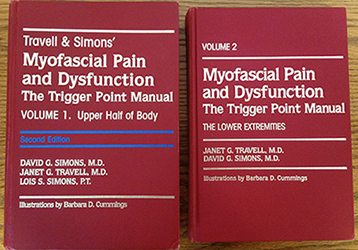 Finally his journey to find a solution led him to the medical textbooks on muscle pain, Myofascial Pain and Dysfunction: The Trigger Point Manuals by Janet Travell, MD and David Simons, MD. The two big red books showed where the pain was coming from and where to treat. The problem with muscle pain (also called myofascial pain) is that the problem is not in the place that hurts! The medical treatments documented in Travell and Simon’s books were meant for doctors and physical therapists to perform on patients. However, despite decades of experience and over 40 articles published in medical journals, Janet Travell’s life work had not become widely studied or accepted by mainstream medicine. Some advanced neuromuscular massage therapists and a small group of certified myofascial trigger point therapists do trigger point therapy but they were few and far between My dad knew from previous experience with massage therapy that trigger points could be treated with massage, so he created his own solution. On his own, within six weeks, he cured his own frozen shoulder by massaging against the wall with a regular old tennis ball and a hook-like back massager called a Thera Cane. Then he came after my chronic pain. The problem is not in the place that hurts! 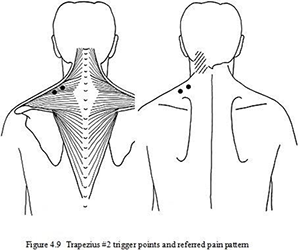 The pain area show in the neck is coming from trigger points on the top of the shoulder. He bought a professional massage table and started looking for the trigger points that were contributing to my symptoms. He taught me how to use the tennis ball in a sock against the wall to massage my back, hips, and buttocks muscles. Within a few months, I was nearly pain free and with my Dad’s help able to identify the trigger points and treat most any pain that popped up. My ‘ah ha’ moment came the day I looked up and realized that I had been sitting for hours making jewelry and I had no pain. We told everyone we knew about our experiences. During those years we encountered endless numbers of people with stories of chronic and acute pain. Their stories were all the same, the only solutions for common pain complaints were pills, surgery or living with it. We would show people where to massage or treat their trigger points a little and they’d get relief. Some of them had seen doctors, physical therapists, and everyone else with little or no help. Dad realized that this therapy was too important to be sidelined. He set his mind to bringing the work of Travell and Simons directly to the people through a self-help book about self-applied massage. I joined my father in his obsession and with him in the lead we went on to develop simple self-treatment techniques everyone could use to treat every muscle documented with trigger points. Carpal tunnel ~ plantar fasciitis ~ tension headaches ~ migraines ~ ~ chronic neck pain and stiffness ~ intra-pelvic pain ~ tennis elbow ~ TMJ syndrome ~ ~ low back pain, sciatica ~ IT Band syndrome ~ trochanteric bursitis ~ Achilles tendonitis ~ and the list goes on…. Dad buckled down and secured a contract with a national publisher New Harbinger Publications. The first edition of The Trigger Point Therapy Workbook; Your Self-Treatment Guide for Pain Relief was released in 2001. Dad was the primary author and illustrator, accompanied by me as his assistant, apprentice, first editor, photographer, sounding board, and all around side-kick. 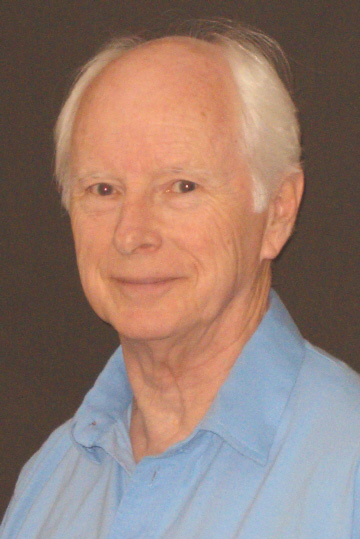 Surviving author and trigger point pioneer, Dr. David Simons, endorsed our book and wrote the Foreword. For two and a half years Dad and I traveled together throughout the United States teaching weekend continuing education seminars to massage therapists. We lit a fire. There are now a dozen of books on the subject and a steady stream of new self-treatment tools, DVDs and websites. Our book remains a #1 bestseller because it is an easy book to read and understand while including all of the essential information on trigger points and referred pain. Read a few of the current reviews of the third edition on Amazon. As it does, life took a few unexpected turns over the last decade. Some of them wonderful like my daughter, Sophia, who was born in the spring of 2004. Understandably everything slowed down and my focus changed to our new little family. Some turns led down bumpier paths. Sadly, Daddy’s life journey ended way too soon on December 29, 2006, at age 69. He had battled colon cancer for two years. At first, I didn’t think I would even be able to massage people again much less carry on our mission. People in pain kept calling though and I found great solace in helping them. 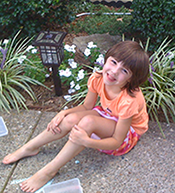 Thankfully, more joy came when our second daughter, Nora, was born in 2007. Eventually, I was able to return to teaching without Dad. I haven’t had the right answers for everyone seeking treatment from me, of course. I seem to have my fair share of complicated cases and new opportunities to learn. In an effort to get it right I have taken hundreds of hours of advanced massage therapy classes to improve my understanding of the human body and soft tissue dysfunction. Practicing what I have learned by treating and teaching thousands of people has sharpened my skills considerably. I have taught countless professional continuing education courses for massage therapists. Problem solved in person, over the phone, and by email with people whose doctors couldn’t find anything wrong with them. Muscle pain can’t kill you but it can sure make you want to die. Through the years I continued to find ways to improve our book since its last revision in 2004. It took me a while but I have now completely revised our book. 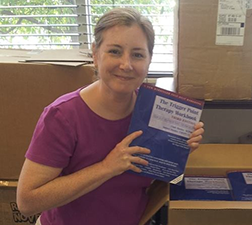 In 2013, the all-new third edition of The Trigger Point Therapy Workbook was released. It’s can be found in most bookstores, in paperback or e-book version on Amazon.com and is available internationally in 18 different languages. It is studied in massage therapy schools nationwide. People all over the world have found lasting relief from chronic pain using our self-treatment methods. I have had a massage therapy practice in Louisville, Kentucky since 2001 specializing in treating all types of chronic and acute pain. The techniques I use most fall under the categories of myofascial trigger point therapy, neuromuscular therapy and orthopedic massage therapy. In June 2013, I opened a new clinic, New Day Myopain Center LLC where we offer problem solving, non-invasive, drug-free solutions for pain. We also provide continuing education workshops for professionals as well as self-treatment classes for regular folks in pain (make this a link). It is possible to be pain-free even after decades in pain. It is our mission to bring myofascial trigger point therapy into the mainstream by training more therapists and empowering everyone to do simple daily self-treatment. It’s not hard. It’s all possible. 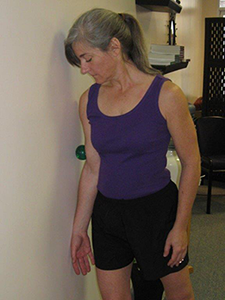 You can self-treat nearly every muscle on your own body that we can treat on you without breaking your arms to do it. We can teach you how. We are a unique massage therapy clinic. We try to solve the problems, include you in the solution, and give you the skills to stay functional, self-reliant and pain-free.